Whether a novice or professional, the Swing Speed Radar from Sports Sensors will help you maximize your distance and control to take your game to the next level. 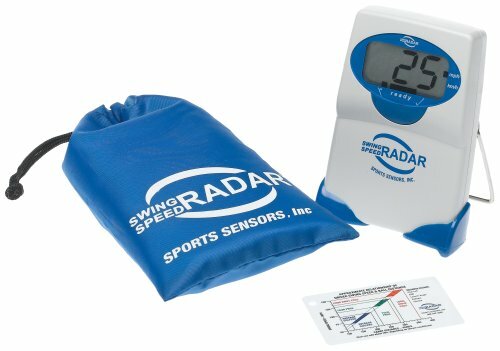 A valuable aid for players of all ages and skill levels, the Swing Speed Radar is a powerful tool for coaches and instructors everywhere. 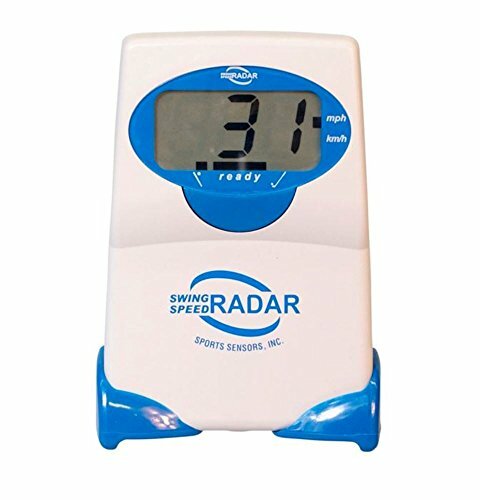 The Swing Speed Radar is a small microwave Doppler radar velocity sensor that measures the swing speed of golfers and baseball/softball players. However, over-swinging can produce poor results. The Swing Speed Radar helps you improve both metrics by measuring your swing speed, determining the best speed for optimum performance, monitoring your swing consistency, and selecting the club or bat characteristics that best suit your swing type. 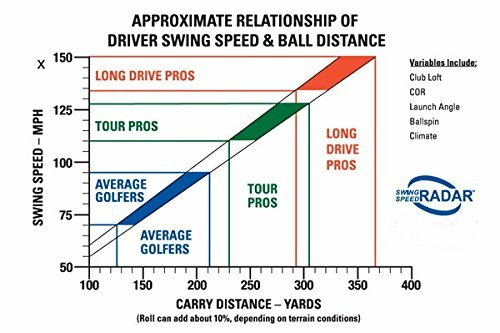 Golfers can use the device to determine the optimum swing for distance, control, and accuracy, while baseball/softball players can work on honing their bat speed to create consistently solid contact. The Swing Speed Radar’s real-time velocity feedback helps players and coaches measure improvements and troubleshoot swing mechanics. 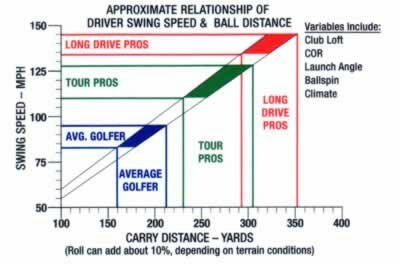 To measure golf swing speed, merely position the Swing Speed Radar in a forward location about 8 to 10 inches directly away from the tee. 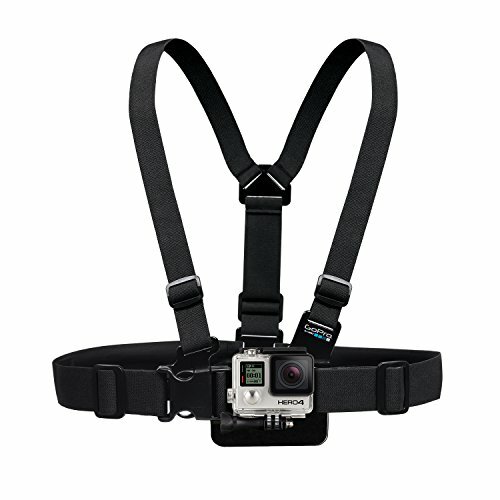 In baseball or softball applications, meanwhile, you can hang the device on a batting cage, pop-up net, or fence, or mount it on a tripod about 5 feet in front of or behind the player while he or she swings in the air or hits off a tee. By locating the Swing Speed Radar at a height that corresponds to the plane of the bat swing, the bat speed is measured “out front” of the batter in the hitting zone, which is where contact with the ball produces the best results. 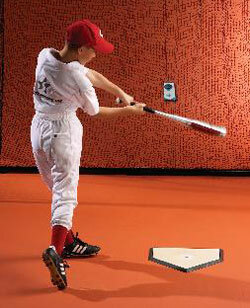 Put another way, the device measure the speed of the barrel of the bat, not the tip. This makes the Swing Speed Radar a great tool for helping you select the optimum bat size and weight for your swing. Your purchase includes a nylon drawstring pouch for carrying your Swing Speed Radar and two snap hooks for attaching it to your equipment bag or hanging from a net for bat speed measurements. 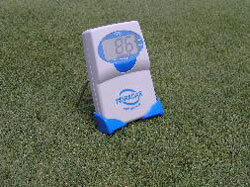 The Swing Speed Radar is a unique electronics product intended for training and practice situations. Although the rugged design will withstand the rigors of normal use, it should be protected from golf club, bat and ball impacts; should not be dropped or thrown; or exposed to precipitation, or immersed in water or other liquids. Do not use or leave outdoors during inclement weather. Store the Swing Speed Radar in typical in-house environments, avoiding excessive temperature extremes, humidity, dust and dirt. The Swing Speed Radar can be cleaned with a slightly damped, soft cloth. Do not use alcohol, solvents, or chemical cleaners which can cause permanent damage.